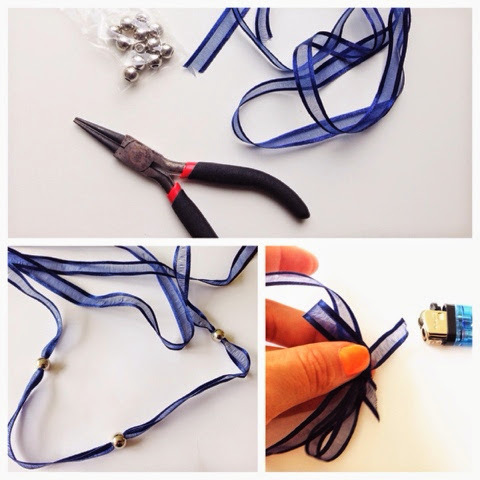 I loved the blue colour this season and since the royal blue is going to be in fashion the next season, too, I have decided to share some fun DIY projects that will get you through the next season looking stunning and always chic. 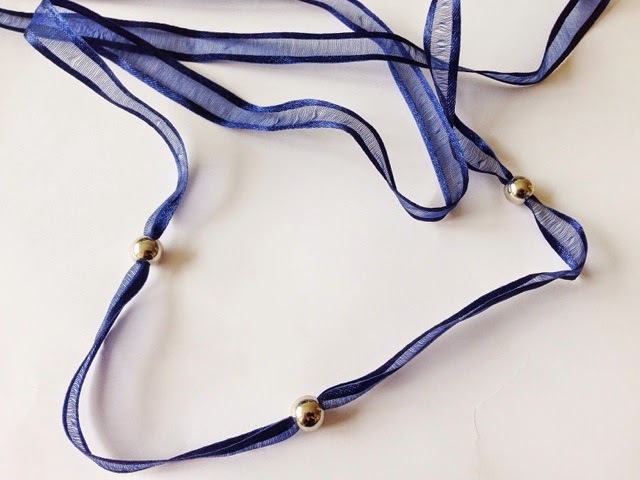 Get ready for a simple but statement necklace to fit your autumn look! Inspired by 'Gossip Girl' serial since I have been watching it for the past two weeks and got inspired by the glamorous accessories they wear. Start threading the beads and use the pliers to pouch the ribbon through the wholes of the beads, if needed. 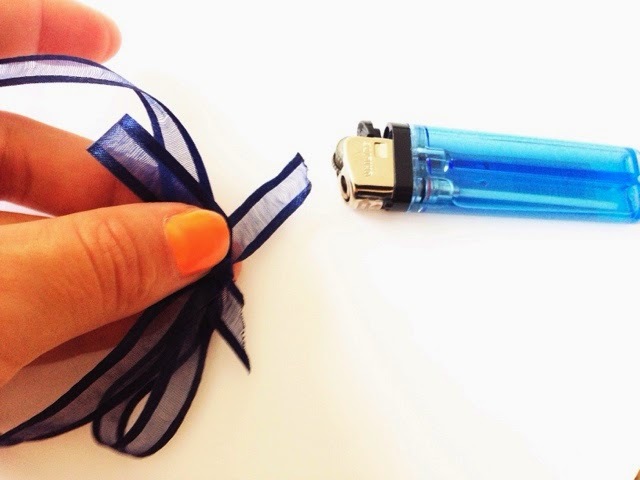 In the end make a nice bow out of the ribbon and burn the endings slightly so you don't ruin the endings. 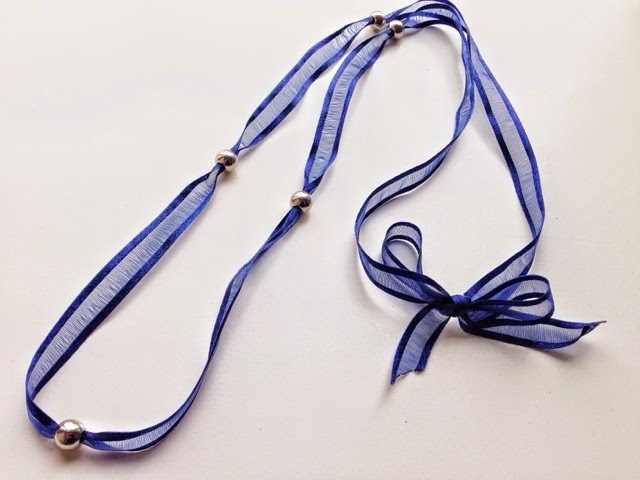 Here is a nice ribbon necklace that you can wear with a white top or shirt during the next season.